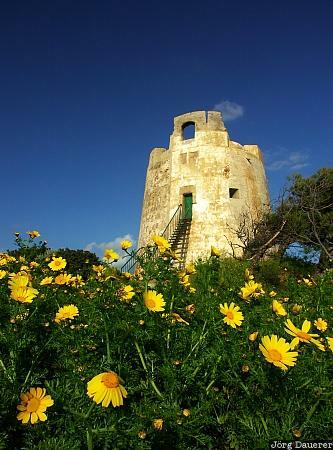 Yellow flowers and Torre di Chia in the southern part of the mediterranean island of Sardinia, Italy. This photo was taken in the evening of a sunny day in April of 2005. This photo is part of the exhibition The color Yellow (June 2013). This photo was taken with a digital camera.